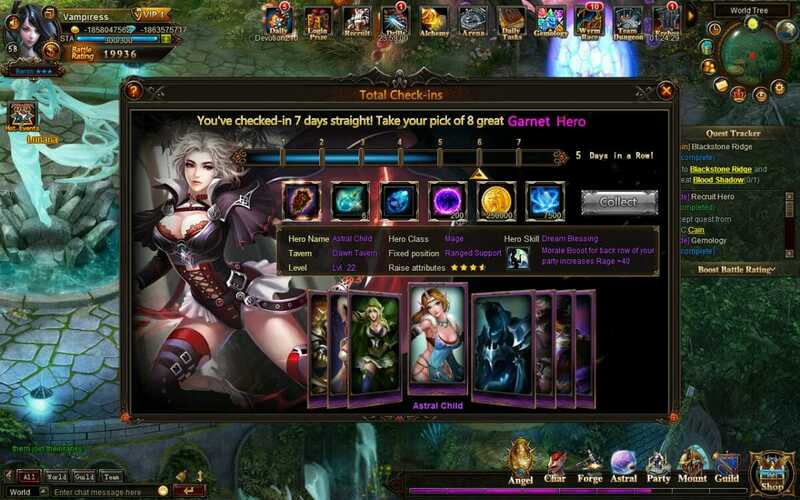 For fans of the fantasy theme, League of Angels could be the MMORPG that you have been looking for, it is free to play, requires no download and is set in the fantasy land of angels. 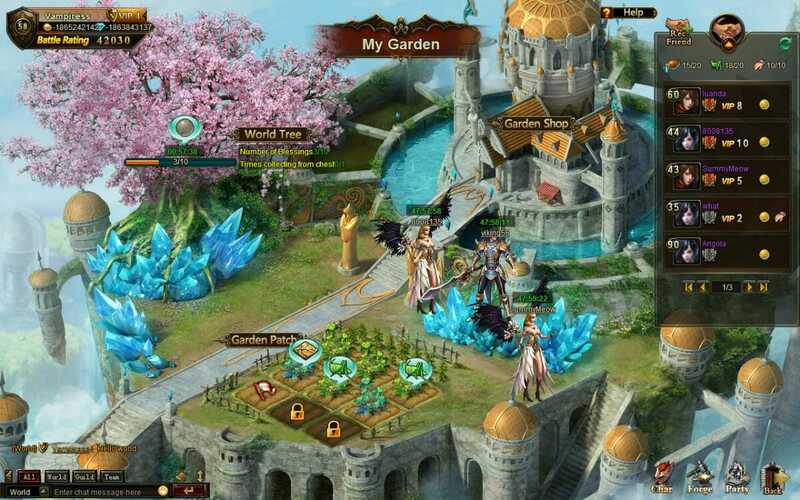 The turn-based fantasy MMO will see you paired up with an angel from the very beginning and will task you with building an empire and upgrading your angels in a fight against evil. You start out by choosing your class and gender and are then awarded an angel that will be the first of many on your quest for superiority. The game is a letdown in the fact that there are only two different classes of mage and warrior to choose from, though this could always change in the future. You then undertake a few quests that are actually a lot more testing than you would imagine. This is to teach you that the level your character is and the equipment/gear that you carry, is incredibly important. The game will often remind you that you should be upgrading this gear as often as possible, yet as you will have guessed, upgrading can be done far quicker for some of your real hard-earned cash. 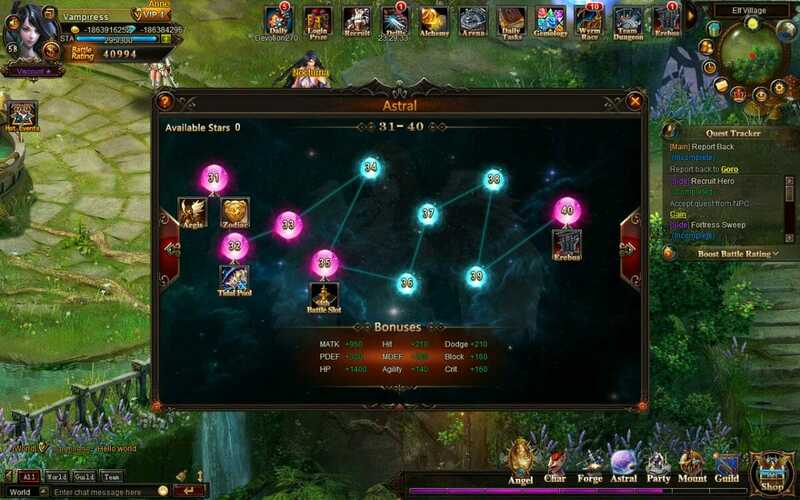 Leveling up can be done through gaining experience from completing quests, battling other players in PvP mode and dispelling any evil that attempts to encroach on your habitat. As you level up, you have access to better angels and better abilities that they can use. Player progression seems to be the most important aspect of this game as is normally the case from the many Asian developers. There are plenty of stats and paths that you can improve but is this enough to allow the game to be an attractive proposition for players? Read on and let’s find out! 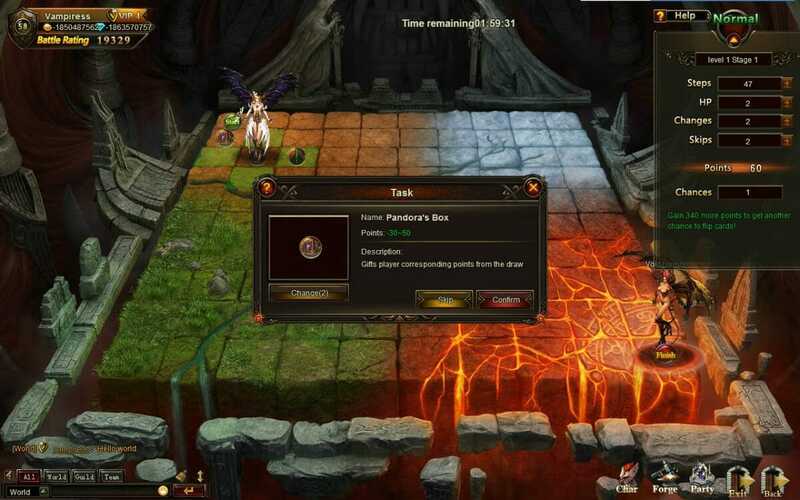 All players look to the combat aspects of MMORPG’s as the most important but unfortunately for League of Angels, the action is a real letdown in the game. It is turn-based as advertised but all of the action is done automatically and you have very little control other than being able to use boosts. This is going to be a real turn off for fans of this genre, especially when there are plenty of other games that provide a much more interactive experience when it comes to battle. Graphically the game looks great. The artwork is truly beautiful, especially for a free to play browser game that requires absolutely no download. The anime-styled game really does immerse you into the fantasy theme well and the sound compliments that feeling adequately. It almost feels that this game was pushed out far too quickly without too much thought going into it. It feels like a game that has not been completed properly and one that was rushed. It is a shame as the general idea and beautiful artwork on the game means that it surely had decent potential. Unfortunately, with automated fight scenes and just two classes, this game will not set many people’s pulses racing. Hopefully, the game will be improved with future patches but with it already being a year since its release, we are not sure whether that will ever happen. • Beautiful graphics and textures. • Weighed heavily in favour of money players. 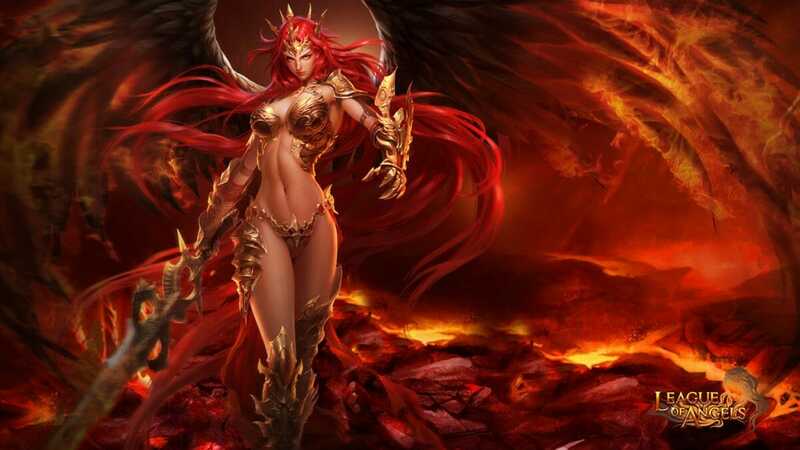 Fans of fantasy just might like it! It almost feels that this game was pushed out far too quickly without too much thought going into it. It feels like a game that has not been completed properly and one that was rushed.